With over 200 Typo stores across 15 countries, the popular brand specialises in an eclectic range of everyday items, including stationery, travel and tech accessories. 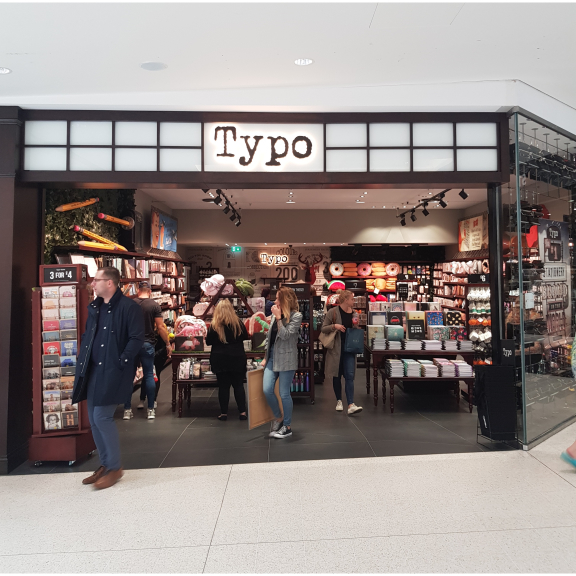 Now open on the Lower Mall near Starbucks, Typo is another welcome new retailer to intu Watford, which is currently experiencing more and more top-brand retailers opening in the centre. Debenhams opened its doors in intu Watford’s new development on Thursday 27 September and other retailers are confirmed to open in the new development are Superdry, H&M, Jack Wills, New Look, The Florist, TGI Friday, Las Iguanas, and YO! Sushi and a Hollywood Bowl, and IMAX Cineworld. Accessories brand Accessorize is also opening a new store at intu Watford, taking a new unit that is triple the size of its previous location in the centre.